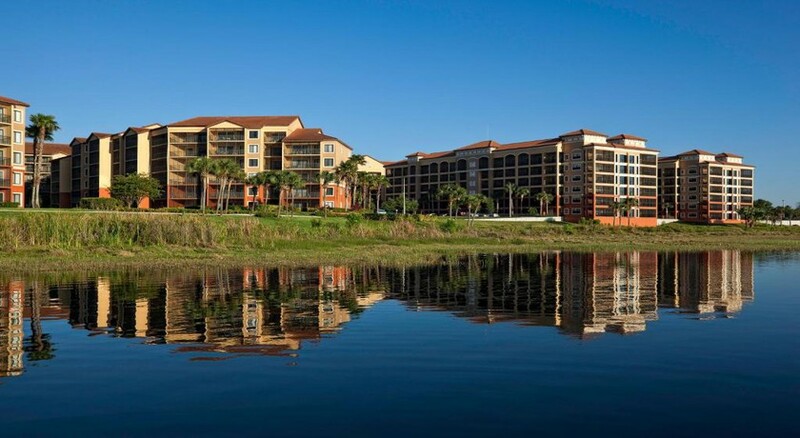 If you are looking for a beautiful lakefront resort in Orlando, close to most of the major theme parks of the area, then Westgate Lakes Resort & Spa is your best bet. 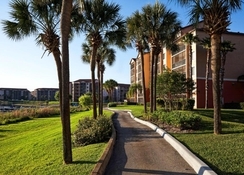 Situated within minutes from most the Orlando theme parks, this pet-friendly, non-smoking resort offers all the comforts of a fully furnished home. Done up in yellow-coloured brick walls and red brick walls, the resort has the vibe of a Spanish villa and provides accommodation in modern studios and spacious villas. The warm, tropical climate of the central Florida is the perfect complement to the warm hospitality and friendly service of the hotel staff. The rooms are well-furnished and come with a range of modern amenities, which make your stay a comfortable one. The hotel provides a number of sports and leisure facilities that includes a water park, outdoor pools, basketball and tennis courts, mini golf and luxury spa. Guests also enjoy, among other things, ChargePro EV charging stations for cars, complimentary transportation to a number of tourist attractions and scooter rental services. 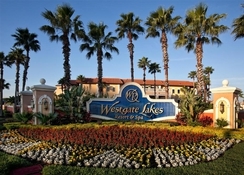 Westgate Lakes Resort & Spa is located close to all the major theme parks. The nearest tourist attraction to the hotel is SeaWorld Orlando, which is 2.5 km from the property. Universal Orlando Resort is 9 km away and Walt Disney World Resort is 7 km. 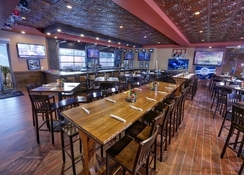 the hotel is easy to reach from the Orlando International Airport, which located at a distance of 22 km. The Orange County Convention Center is 3 km away, while International Drive around 1.5 km from the hotel. The hotel provides a range of well-furnished accommodation, which oozes understated elegance and refinement. Pastel colours enliven the walls, and a room comes with a range of modern amenities, including a kitchen counter, tea and coffee maker, refrigerator, toaster and microwave. The rooms come in the following types: Studio Villas, One-Bedroom Villas, Two-Bedroom Villas, Three-Bedroom Villas, Four-Bedroom Villas and Presidential Villas. 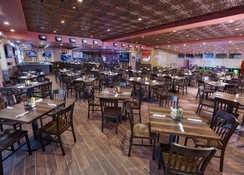 There is a range of dining options from quick bites to fine cuisine. 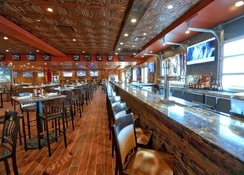 Drafts Sports Bar and Grill is great for breakfast. Sid’s Bistro offers a range of freshly baked goodies and delicious ice creams. Marketplace & Deli is the on-site convenience store, while Cordovano Joe’s Pizza serves authentic New York-style pizzas. The 3 poolside bars – Citrus Breeze, Sunset Key and Coral Reef – are great for enjoying a drink. The hotel also offers room service should you want to enjoy your food within the comforts of your room. The hotel is undoubtedly the best choice for active souls, who like to keep themselves fit even during a vacation. 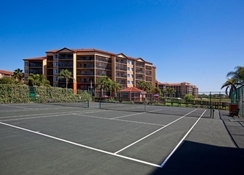 The hotel has a basketball court, a tennis court, 2 sand volleyball courts, kids’ playground, a games room and an 18-hole mini golf course. The state-of-the-art fitness centre at Serenity Spa of the hotel is 10,000 square feet of pure luxury serving up a full menu of rejuvenating salon treatments, body messages and wraps, beauty and wellness treatments and so on. The world- class fitness centre within the spa is great for lifting weights and doing cardio-vascular exercises, with personal trainers available to assist you. There are also as many as seven outdoor pools, where you can relax and have a drink or two, if you feel burnt out from all those exercises. The hotel also arranges bicycle and boat rentals, as well as fishing in the lake behind the property.